This past Christmas, I was again away from family. Holidays have lost their, well, holiday spirit over the years, but I suppose that’s just me getting old. In more recent years, Christmas has been more about introspection. 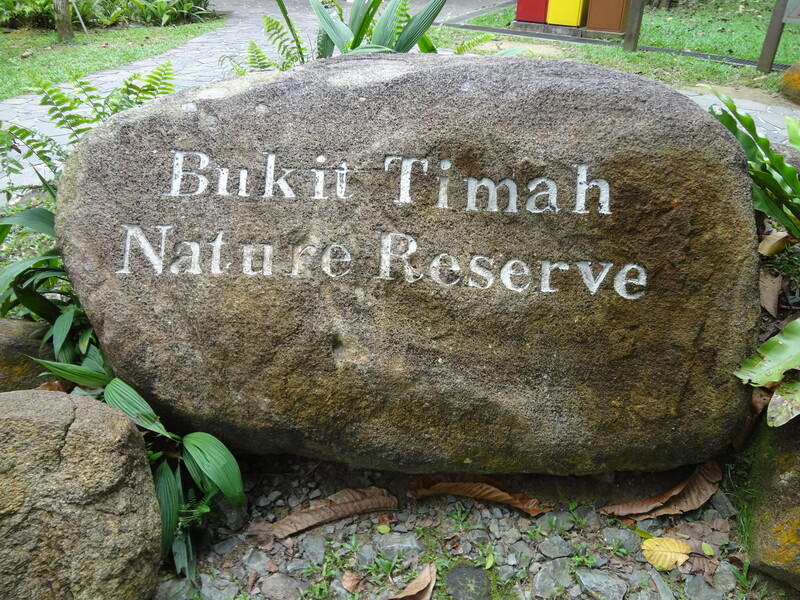 And what could induce this more than a hike at Singapore’s Bukit Timah Nature Reserve? It was another check mark off of my Lion CIty to-do list, which has nothing to do with luxury shopping and eating. 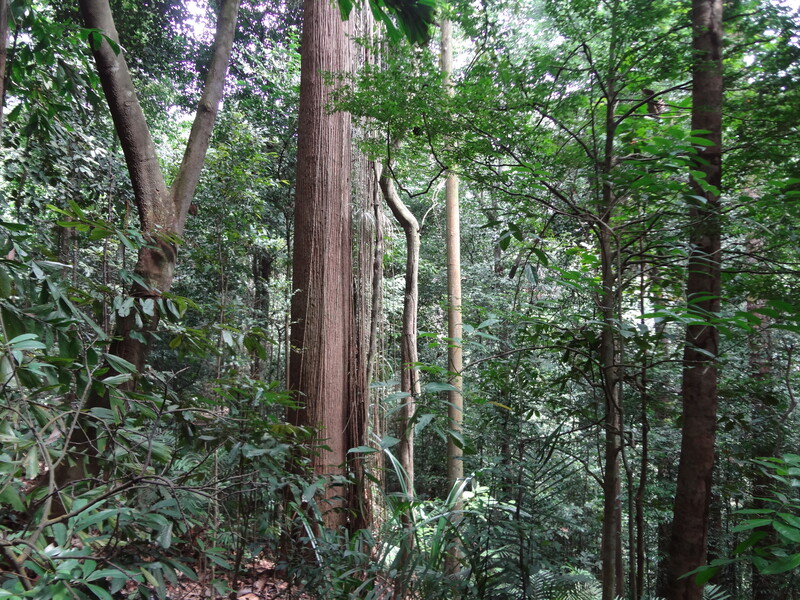 I think my favorite part about Singapore trees is that they can go quite high. And the variety can be quite spectacular. 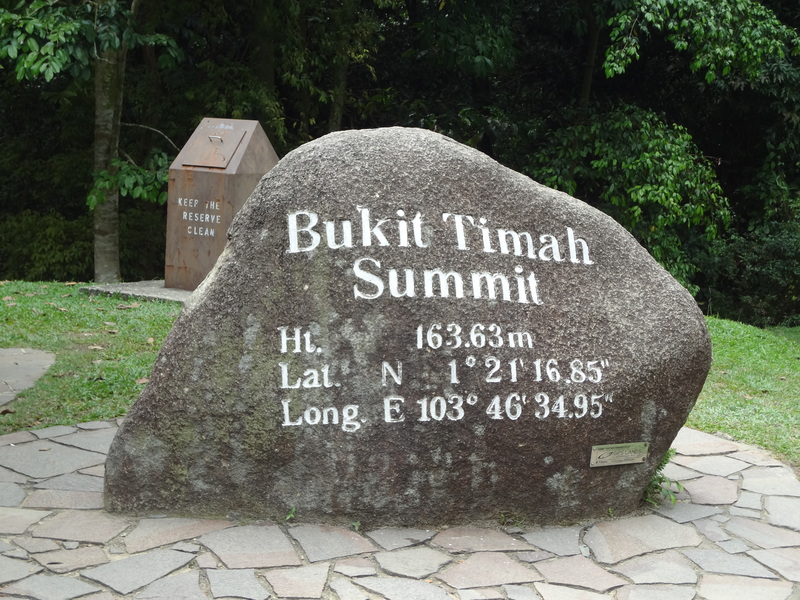 Okay, the summit itself was not very high. 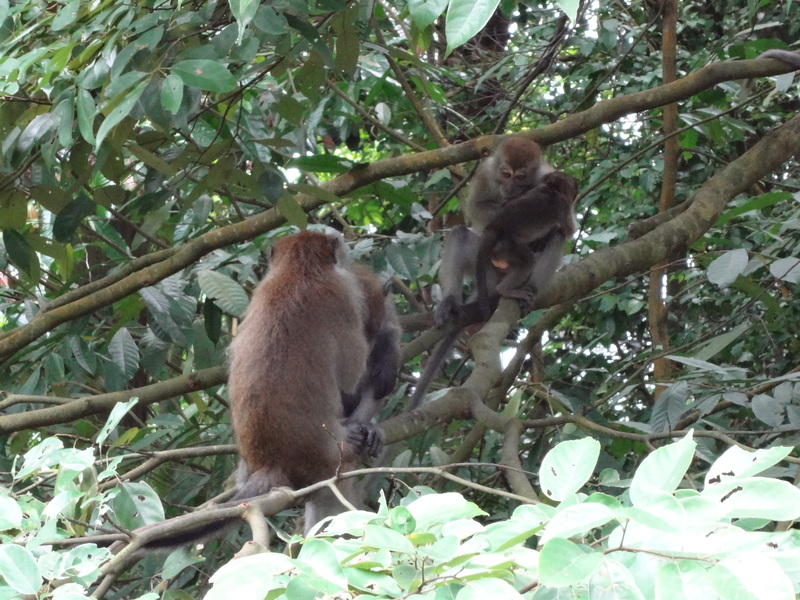 I stopped for a bit to see the monkeys who lived there. 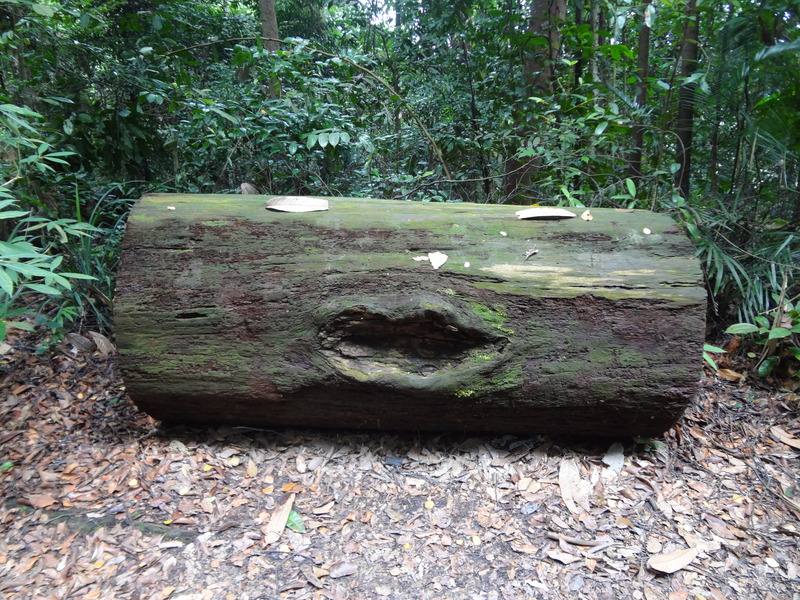 Along the way, I saw that someone was putting on a face on this fallen tree trunk. Can you see it? 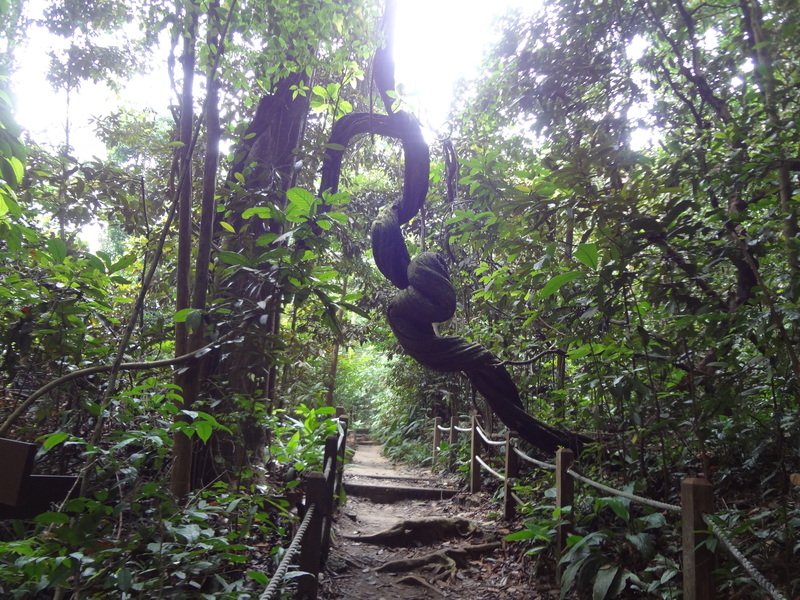 This curved branch seems to be an omen. After I doubled back, I went on another trail and found the reservoir. 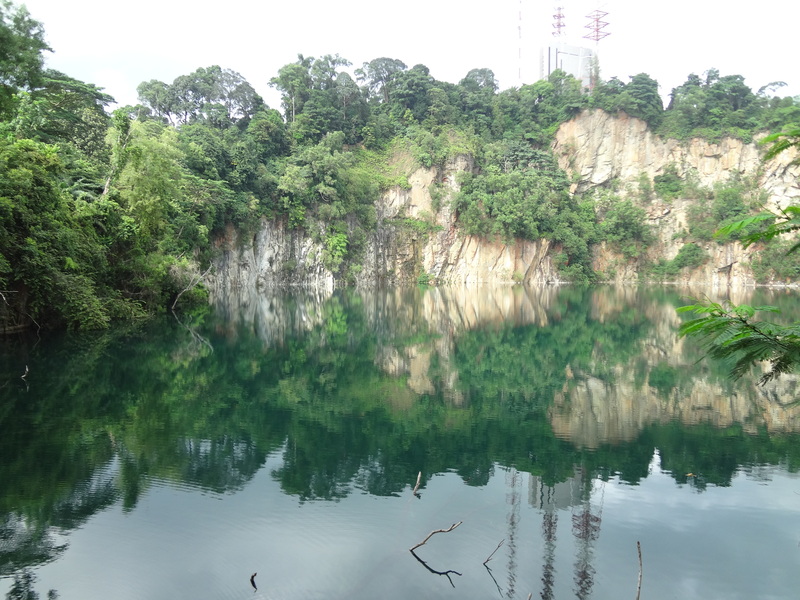 I love Singapore’s reservoirs because they are so clear, it’s sometimes hard to tell the real thing from the reflection. 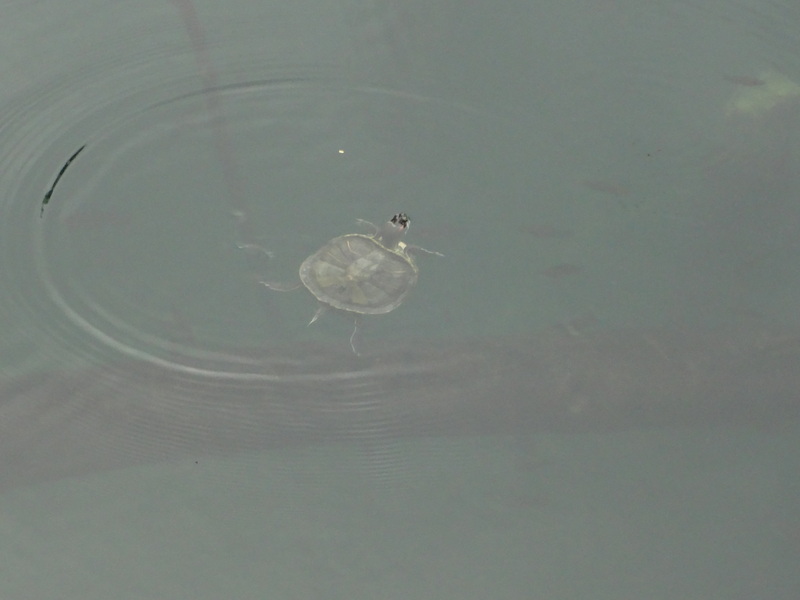 I watched a little turtle swim peacefully near the shore. In lieu of family, I think the holidays should be spent as close to nature as possible. The earth, after all, is our family, no? The Holiday Hackathon is an exploration/discovery project of me spending my last couple of weeks in Singapore. I just finished an art/science residency, and I’m hoping that asking questions and going to new places will help me figure out that next step/project.